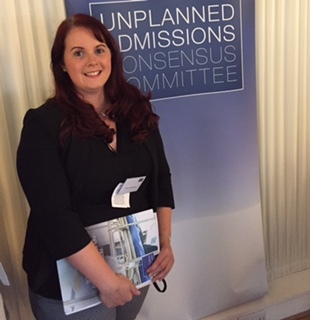 Currently managing the adult and paediatric continence service across Liverpool, Hannah has been working in community services within district nursing since 2008 as a specialist community practitioner with a special interest in continence promotion and infection control before specialising in community continence in 2015. Hannah has supported the reduction of Catheter Associated Urinary Tract Infection across the trust through the implementation of harm free care. Hannah’s role is to promote continence awareness to the local community and support the education and training of trust staff, and other outside agencies . Hannah is passionate about patient safety and ensuring patients in the community receive high quality evidence based care. She joined the Committee in 2016 following the UACC Parliamentary Reception.